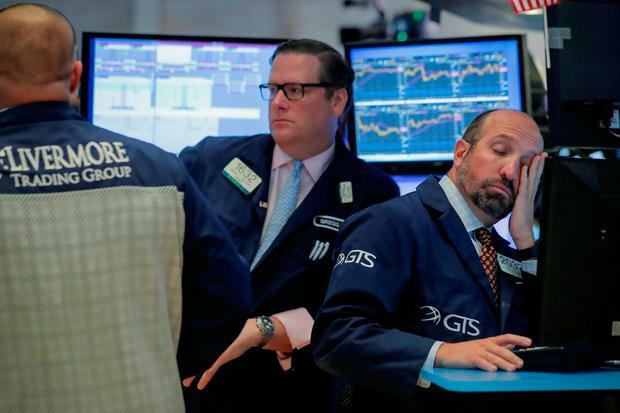 MARKET turmoil continued to grip Europe yesterday, with a sell-off in tech stocks in the US and retail gloom there also contributing to a tough day for investors. Bank of England governor Mark Carney also warned of a shock for Britain similar to that it experienced in the 1970s if there's a no-deal Brexit. The price for West Texas Intermediate tumbled below $54 (€47.41) a barrel for the first time in a year amid concern Opec's plans to cut production won't be enough to stem a surge in stockpiles and a sell-off in global equities. Futures for January delivery fell as much as 6.2pc in New York. Meanwhile, there were warnings that the end of quantitative easing could spell trouble for Italy's debt. One Governing Council member noted that Italy's central bank is the largest buyer of the country's debt. He said that raises the question of who will purchase the roughly €275bn of government securities Italy is expected to issue next year. In Ireland, the Iseq Overall Index had slumped almost 1.2pc soon before the close, to 5,827. It's now back at a level not seen since 2016. Ryanair was 1.8pc lower at €11.44 near the end of the session. Shares in rival Easyjet tumbled almost 5pc, despite it reporting a 41pc jump in full-year profit. Shares in CRH had barely budged near the close, at €24.10, after it said that third-quarter sales rose 4pc to €7.96bn and earnings before interest, tax, depreciation and amortisation was up 3pc to €1.37bn. Mincon plummeted more than 9pc after mining stocks were hit. The UK's Ftse-100 was down 0.6pc minutes before the close. Germany's DAX fell 1.5pc and France's CAC-40 lost 1.1pc.